That’s what the Abrahm’s family thought as well when I asked them where they wanted to do their session! ….before we went down and had the REAL fun on the beach! By REAL fun I of course mean chasing birds, shoving sand in your mouth, and getting as absolutely sandy, wet, and freezing cold as possible! I mean, what else is the beach for?! So we took the time to do all of those main events and more as we caught this family doing what they do best… being a family together! Thank you to the Abrahm’s family for giving us the time we needed, being relaxed during our session, and most of all for being such a fantastic family that we had a great time taking pictures of you just being together and having fun! 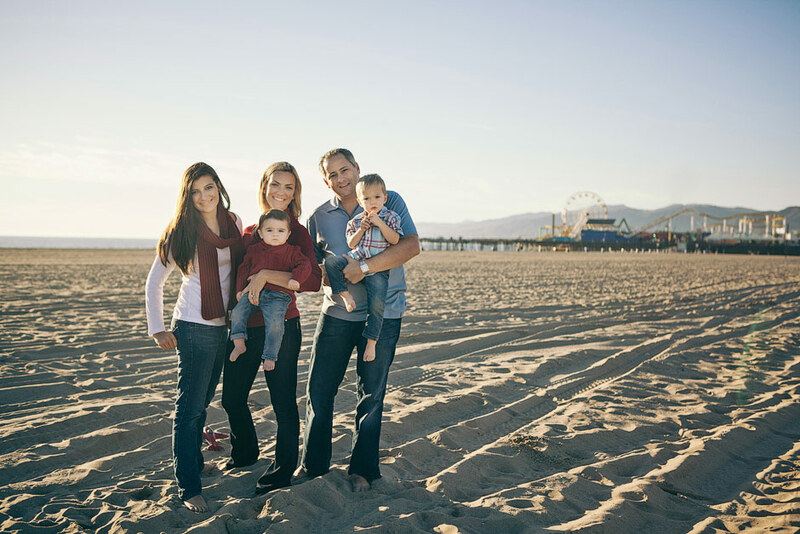 Click to see the rest of the Abrahm’s Santa Monica Family Photo session here. Scottie and I (Breanna) have seen it time and time again… A mom who’s trying so hard to make sure everyone is looking and acting perfect on picture day, that her worst fears are actually coming true because her stress is stressing the kids out, causing tension between her and her husband, and she looks crazy frazzled in all the photos! (See more about how to avoid “photo day mom stress” in my series on “How to Plan a Truly Great Family Photo session“). The reason I’m telling you all of this is because when photo day came around for Ashley and her family, she was as cool as a cucumber! Ashley and Mark were both so relaxed that the photo session started all on it’s own before we could even say go! Ashley, Mark, and Wyatt were just hanging out in the park playing together, so we decided we should start taking pictures of it! Now that’s what I call a natural kind of session! The stuff we get of families just playing together all on their own, tends to turn out SO much better than when a mom is running this way and that, pulling her hair out, while trying to MAKE everyone look cute! It doesn’t make much sense when you think about it, because I mean really, how much help does this little guy actually need to look cute?! Besides, when left to his own devices, he’s a great little poser all on his own! Sure he may not look PERFECT in all the photos… …but there’s something so beautiful about that because it’s just him being him! Which is better, remembering him as he really is, or remembering a stranger who’s personality was stripped out of the photos in your attempt to make him look “perfect”?! Yes, we vote to see Wyatt as he really is because who could resist?! So three cheers for Ashley and Mark, who chose to let their child enjoy a fun picture day with his parents, rather than trying to constrain him and force him into fake smile world… which just ends in tears anyways! Good job guys, you made the right choice and have the pictures to prove it! (In case you missed it, more tips on avoiding the “Stressed- out- mom photo day syndrome” here!). Click to see more of Ashley, Mark, and Wyatt’s perfectly imperfect photo session here! Quinton, Lori, and Jada have been family friends of ours for years. …and here’s me (Breanna) and Jada at Scottie and my wedding! So yeah, it’s been like at LEAST a year or two since then! So when we got the call to come take family photos for Lori and Quinton’s 10 year wedding anniversary, we were psyched! When I say this a fun family, that’s understatement! This family can laugh with the best of them, which makes Scottie and I laugh with the best of them, which makes for a very fun session with some very crooked pictures! Luckily, these 3 can also glam it up for some standard (aka straight) family photos where all 5 of us aren’t giggling! Thanks Quinton, Lori, and Jada for a very fun family session! We are so happy we have you in our lives and we are so happy we were able to capture this time period in your lives together! Congratulations on 10 years Quinton and Lori! We look forward to being a part of many more of your years together down the road! 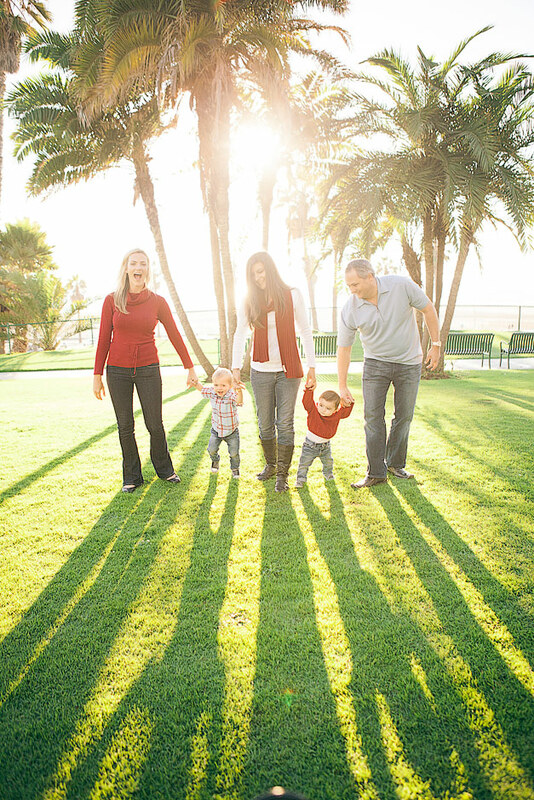 Click to see the rest of Quinton and Lori’s 10 year Family Session.